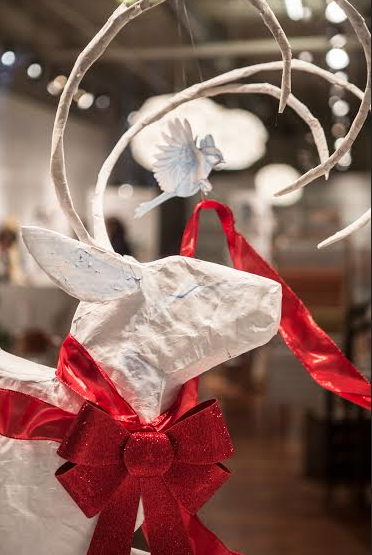 Holiday window displays will light up downtown in the second annual Window Wonderland Competition. About Downtown Grand Rapids Inc. Downtown Grand Rapids Inc. is the singular management entity for the combined energy and operations of the Downtown Development Authority, the Downtown Alliance, the Downtown Improvement District, the City of Grand Rapids Office of Special Events, and the Monroe North Tax Increment Finance Authority. The mission of Downtown Grand Rapids Inc. is to make Grand Rapids the most admired, emulated, attractive and well-run city of its size in the nation - with an unsurpassed reputation as a forward-thinking, bright spot to watch for how to do 'Downtown'. Visit www.downtowngr.org for more information. 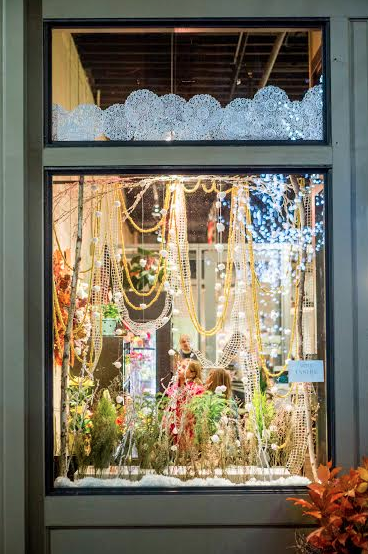 The Window Wonderland competition will begin its second year on November 13 as local art students partner with downtown businesses to create spectacular window displays over the holiday season. Downtown Grand Rapids Inc. (DGRI) and Kendall College of Art and Design (KCAD) have seen the scope of the displays in the competition nearly double in just the second year. 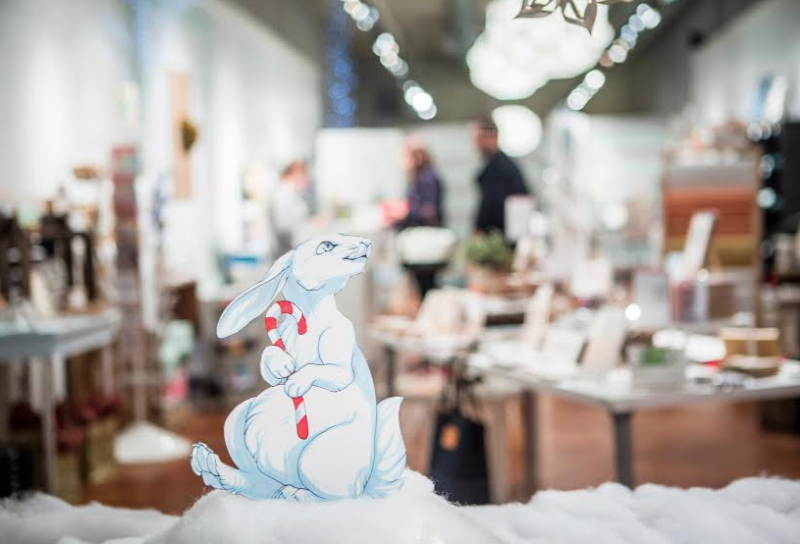 The competition stemmed from the business community’s requests to utilize local talent in activating storefronts in downtown Grand Rapids over the holidays. Last year, 50 students styled more than 20 businesses in their attempts to win the grand prize of $1000. This year, 100 students signed on to create displays throughout the downtown area. 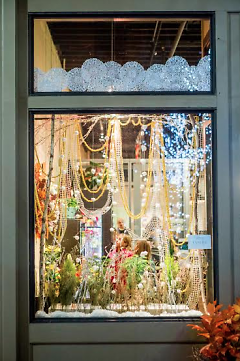 Participating businesses are located all across downtown, including the West Side, the downtown core and the Heartside neighborhood south of Fulton Street. Downtown Grand Rapids Inc. President and CEO, Kristopher Larson, explains the appeal of the competition. Each competing display has a unique identifier that allows the public to use their mobile device to text in a code to vote. With each vote, not only does a participant advance their favorite display, but they are also entered to win prize packages with gifts from nearly 20 participating businesses. Visit www.downtowngr.org for more information. The voting will take place from November 13 to December 7. The winner will be announced on December 10. "This competition offers our students much more than a creative outlet or a chance to win a prize, because it helps them to understand the impact their creative talents can have on their community," said KCAD Interim President Oliver Evans. "By enlivening these retail spaces, students have an invaluable opportunity to help shape the design of their city and participate in the community-building process." The Window Wonderland schedule pairs with other DGRI-produced holiday activities downtown. On November 13, the first day of the competition, guests to downtown can visit the U.S. Capitol Tree at the Gerald R. Ford Museum to send wishes to Washington, D.C. in the afternoon, and then they can enjoy unique holiday décor downtown that evening. The light display will continue this year on Monroe Center and Rosa Parks Circle and will also extend on Ionia Avenue. As the holiday season progresses, guests can continue their exploration on Division Avenue, Jefferson Street and Bridge Street.